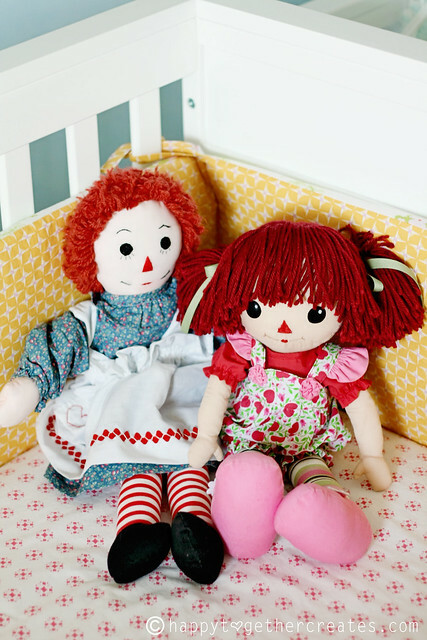 Both of my girls received a handmade Raggedy Ann doll when they were born. 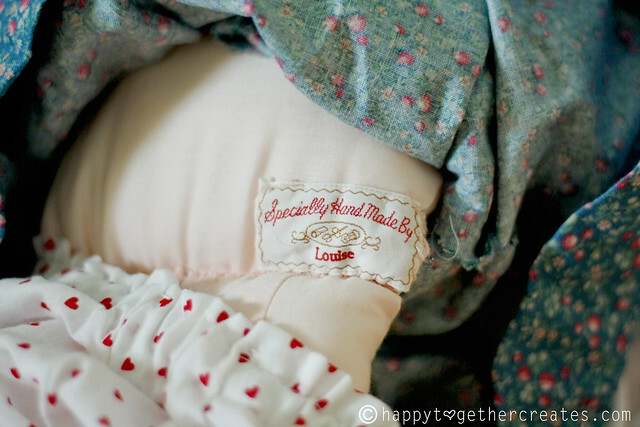 This adorable one was made for Miss E. I was so excited when I opened this up! 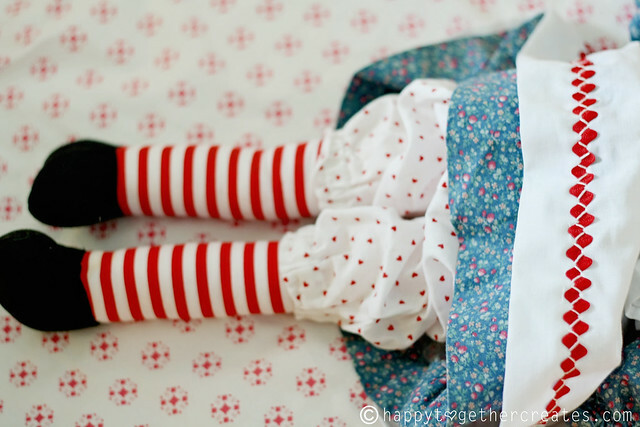 Jen did such a great job on this precious little doll. My oldest kept trying to sneak it for herself! Miss J was gifted this one when she was born. It was a gift from one of my then bosses. The special thing about this doll was that it was one that his mom had made (she had since passed). I felt so honored that he gave this to my baby girl. He probably had no idea how much handmade gifts meant to me and how much it would mean to me. 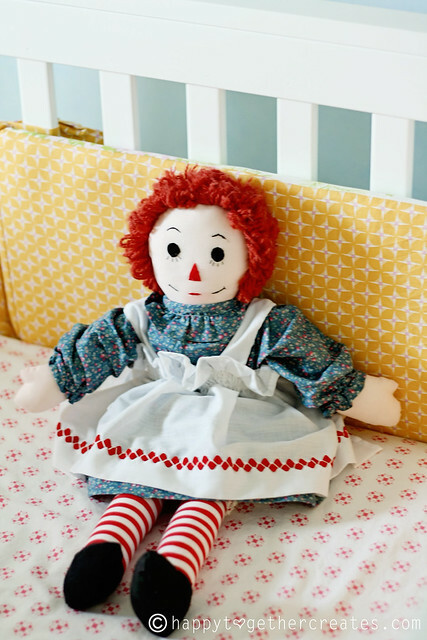 Isn’t it interesting how much this little doll has changed over the years? oh my goodness I LOVE them! I still have mine and it looks alot like your J’s. Do you know the pattern used for the second one? I love the pink outfit and the bangs! They are precious! What wonderful gifts. those are so, so sweet! my MIL made a raggedy andy for my little boy and he is very much treasured! I love these! The second one looks just like the one my great grandma made for my mom. Thanks for the pattern! 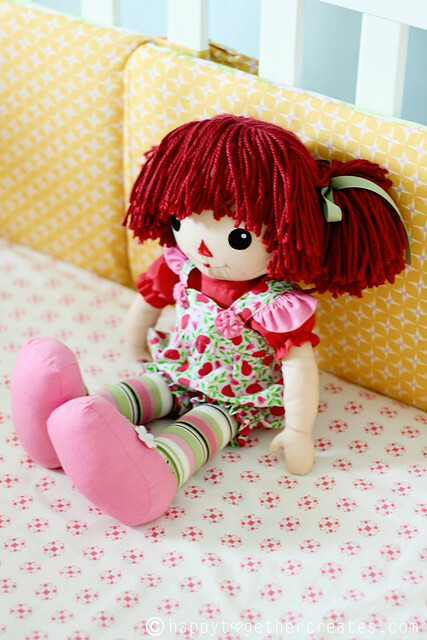 I have several handmade dolls like these from my childhood that my daughter sometimes now plays with. I loved them as a child. These are adorable!